There are a number of adorable baby things with animal ears but these hand made ones from Sweetpeatoad Tots are exceptionally cute. 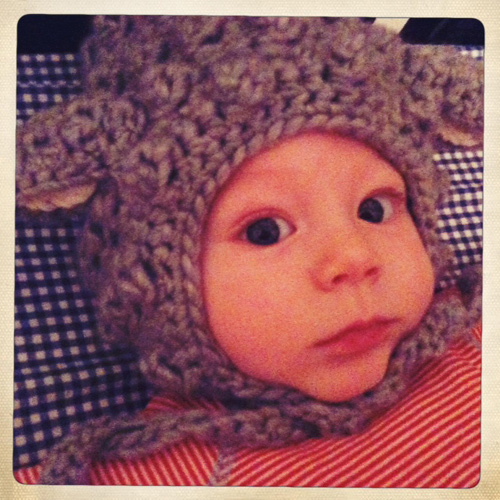 This wool lamb hat is the sole reason I don’t want the cold weather to end. Visit their Etsy Shop – they make a great gift if you have any babies coming into the world soon. Ours was a generous gift from my brother and sister in law. Cute stuff!